Get Help with Bail Bonds in Fort Bend County from A Fast Bail Bonds! 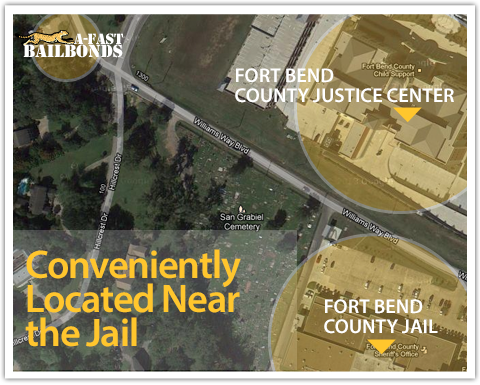 Our Fort Bend County Bail Bonds office location is conveniently located just down the street from the Fort Bend County Jail and the across the street from the Fort Bend County Justice Center. If you need to get out of jail, our Bail Bonds office in Richmond TX is open 24 hours per day, 365 days per year. Getting a bail bond in Fort Bend County is fast and discreet with A Fast Bail Bonds. We are open 24 hours a day, 7 days a week, 365 days a year. We handle all types of bonds and cases, and we are ready to bail you out!